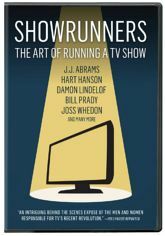 This documentary explores the world of U.S. television showrunners and the creative forces aligned around them. Featuring Joss Whedon, JJ Abrams, Damon Lindelof, and more. Note: This program contains language that may not be appropriate for all viewers. Viewer discretion is advised. This DVD features subtitles in English.